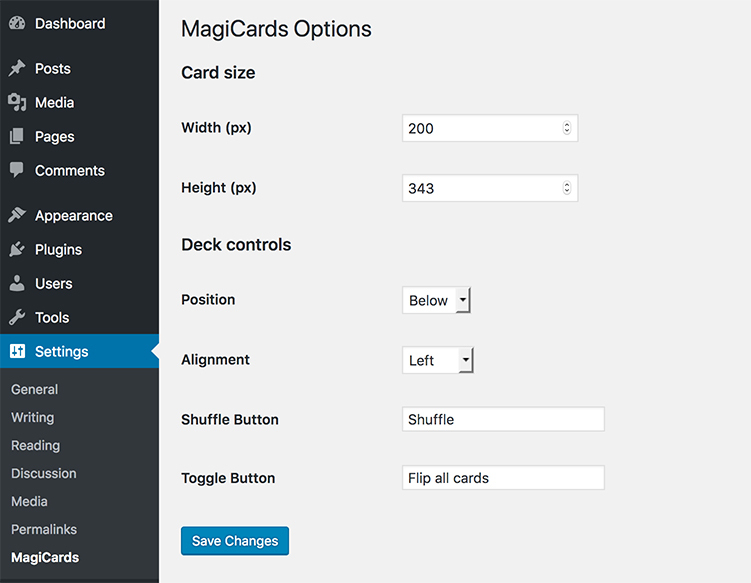 MagiCards is a WordPress plugin to display some random cards on the table. 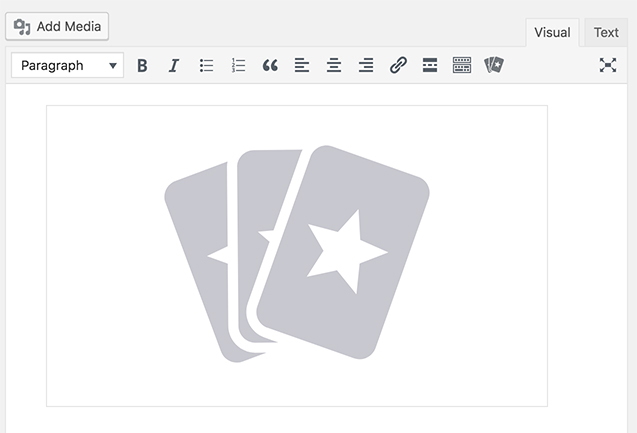 Select a deck of cards in the same way you would do for a WordPress gallery, choose the number of cards to draw, the cards back-face and the number of columns for the gallery. 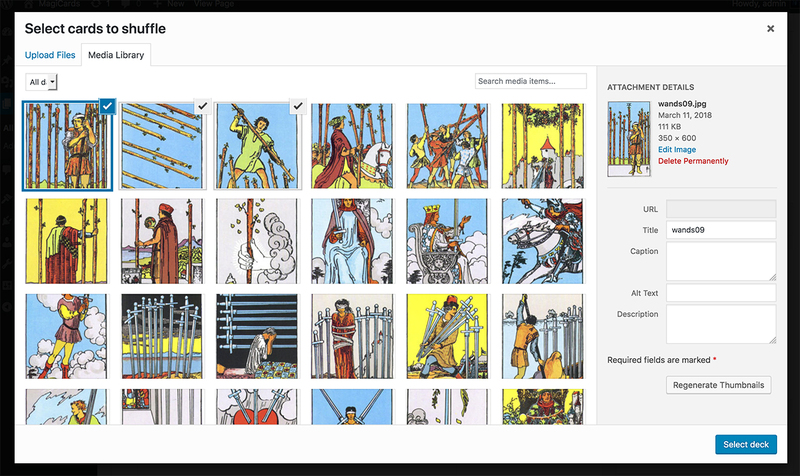 You can offer tarots, playing cards, memory games, or simply random responses to your visitors, in a nice way. 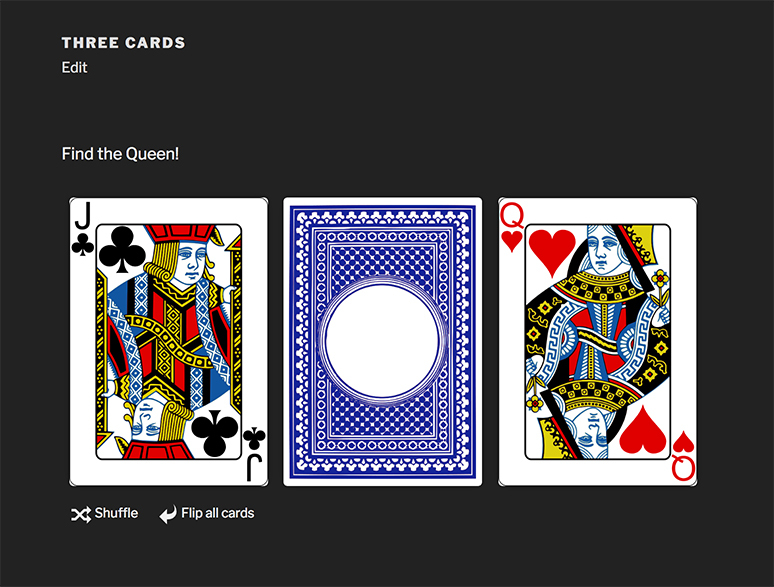 *The cards used inside the demo are not included. 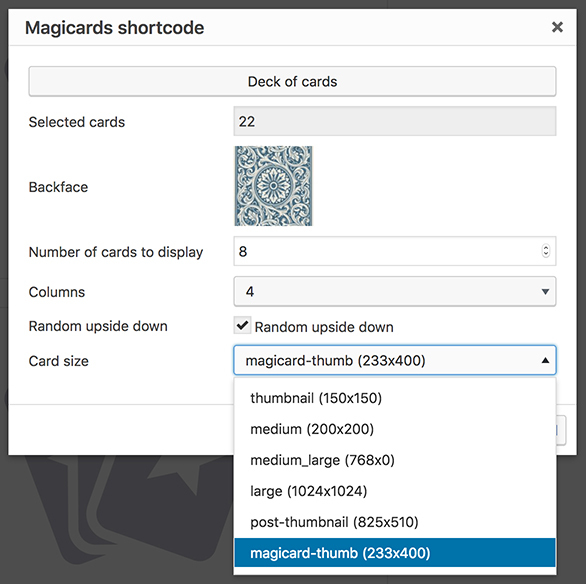 - Update: randomness also with JetPack image optimization active.